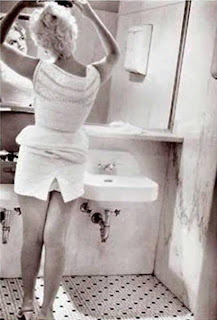 What's Marilyn doing in the bathroom at Green Street? This is one of the only photos I've ever seen of her looking like a real lady, roots and misbehaving hair all. We all have the moments, I guess.